When the original Resident Evil debuted in 1996, it helped codify a new genre of games. Combining cinematic camera cuts and resilient enemies, it wove a masterful tapestry of isolation and alienation. Its sequel, Resident Evil 2, increased the level of action. As director Hideki Kamiya took charge over Shinji Mikami, an increased emphasis on combat altered how the series approached horror. Resident Evil 2 was not a game of isolation. It was about being overwhelmed. Rushing around a corner could leave the player face to face with numerous zombies. It was a game of deliberate decision-making, of knowing when to commit to combat and when to avoid it. That 1998 PlayStation sequel has been remade by Kazunori Kadoi and a team of Capcom veterans for a new modern Resident Evil 2 that changes its camera angles and expands parts of the original. That changes give players more control but that sometimes erodes the original version’s tension. Resident Evil 2 takes place in the zombie-infested Raccoon City. The story follows rookie cop Leon Kennedy and college student Claire Redfield, who is looking for her brother, Resident Evil protagonist Chris Redfield. 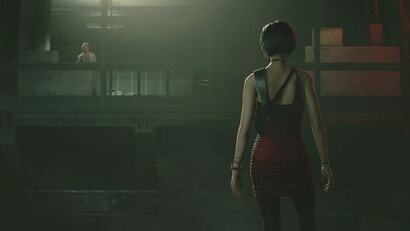 Leon is drawn into the path of a mysterious femme fatale while Claire takes charge and tries to protect a child. 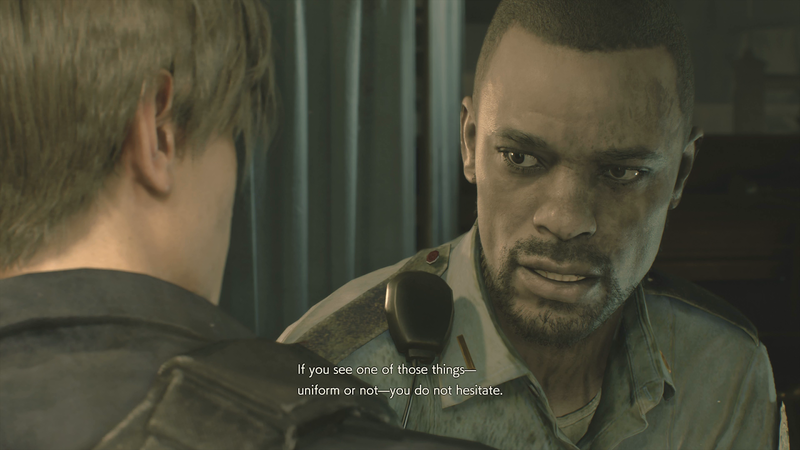 Their stories intersect — players experience one story, then play the other character’s perspective — creating a tapestry of one night’s events in Raccoon City. The remake keeps this narrative frame, but its most radical change presents all of the action in a new camera angle. The early Resident Evil games presented their scenes from fixed camera angles with pre-rendered backgrounds, pulling the camera out to make the player feel smaller or even moving outside of locations to emulate the monster’s perspective. Turning a corner could mean a smash cut to a new angle showing half a dozen zombies. These movements helped create a sense of space and mounting tension. 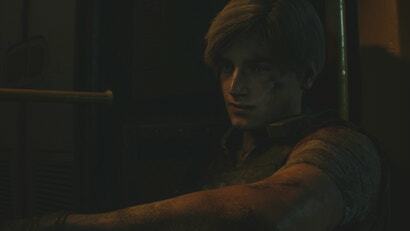 The remake loses a lot of this by moving the camera behind the characters’ shoulders in a perspective that resembles the revolutionary Resident Evil 4 and many modern third-person action games. When this first occurred in RE4, it opened the series to a creative renaissance. Here, it helps evoke the original game’s move towards action but in giving players more control over their characters and centering those characters prominently in the camera frame at all times, the game loses some of the 1998 version’s unease. It is easy — too easy — to feel powerful in Resident Evil 2, as both the cameras and controls encourage a confident push forward that the original did not always compel. While the Racoon Police Department is dark and foreboding it never feels as harrowing as it did in the original. This Resident Evil 2 remake, like the original, is generous with ammo. Players will find themselves able to dispatch most of their enemies to the point of a final death, but their propensity for soaking up bullets also means there will be rooms players avoid because they are too constricted and there are too few bullets remaining. The core aesthetic behind this remake is a push toward high-fidelity gore and violence. This is not a game for the squeamish, as zombies enthusiastically rip off pieces of flesh, characters have their skulls caved in, and shotguns blast bodies apart. The richness of Resident Evil 2’s viscera helps propel combat. 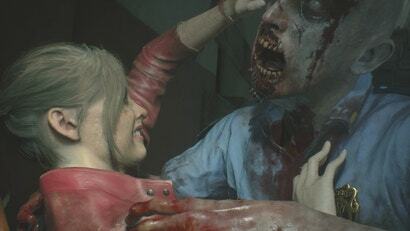 Assaulting a zombie’s flank with knife slashes might result in a sliced off arm while a Licker’s slash could leave a long-lasting gash on your character until they heal. 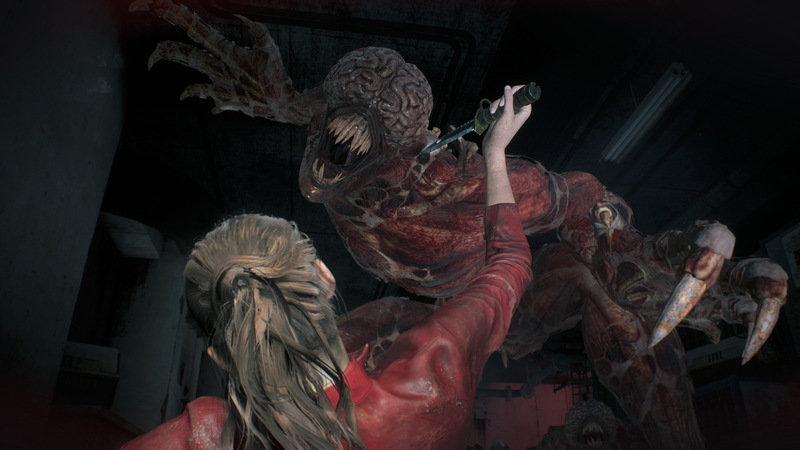 The wounds you are inflicting or that are inflicted upon you give Resident Evil 2’s familiar gameplay a raw tangibility. 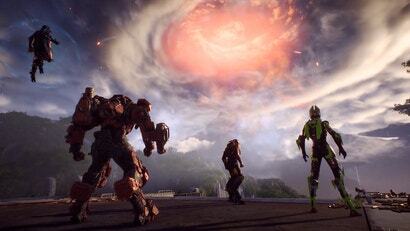 That helps ground the player in a space and makes threats feel real, but the graphical fidelity is undermined by the game’s controls and the enemies’ lack of intelligence. The player will find that they’re just too capable for these zombies to deal with. Claire and Leon can run at a fair speed, snap their guns up quickly for firing, and even have the ability to quickly turn around with a simple button press. Enemies might be bullet sponges but they are easy to avoid or else sneak around. It might be unsettling the first few times a zombie shrieks and identifies your position, but after the fiftieth time running around them, the lustre long wears off. The early Resident Evils, including the first version of this game, had so-called “tank controls” that reduced characters’ mobility and enhanced the players’ terror. The new camera angle in the remake increases the agility and decreases the horror. Even when the game introduces Lickers, highly mutated albeit blind monsters, it never quite manages to truly instill horror thanks to how much control the player has over their characters. 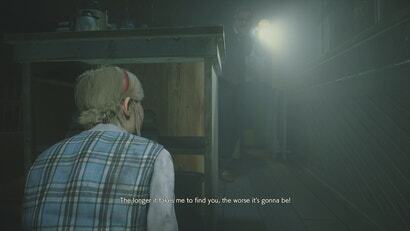 About a third into the game, Mr. X arrives and the entire dynamic changes. (Skip the next three paragraphs if you don’t want to know what that entails.) Mr. X is a Tyrant, a special bioweapon meant to wreak havoc and withstand the toughest conditions. He is dropped into Raccoon City to find a sample of the virus causing the zombie outbreak and he decides that you have it. His arrival into the police station radically alters Resident Evil 2. He will follow you everywhere, chasing you from room to room until he can grab you by the neck and snap your bones. If you elude him, the chase is merely postponed as he wanders the area searching for you. He cannot be killed, although he can be stunned with enough damage. I’ve watched him shrug off high powered handgun rounds and continue to march after being doused with flamethrower fluid. The only time he staggered quickly was when I smashed two acid grenades against his face. That might buy you time to escape but it does you little good when you’re still desperately searching for that last key item. It was brilliant and horrifying all at once. Like getting chased by Jack Baker in Resident Evil 7 or enduring the ever-possible ambushes of Resident Evil 3’s titular Nemesis, there’s a great sense of disempowerment that comes from being plagued with an implacable foe. Resident Evil 2 almost uniformly empowers the player elsewhere, but that changes whenever Mr. X is around. Knowing that there is no safe spot, knowing that he will find you and you will need to deal with is panic-inducing. 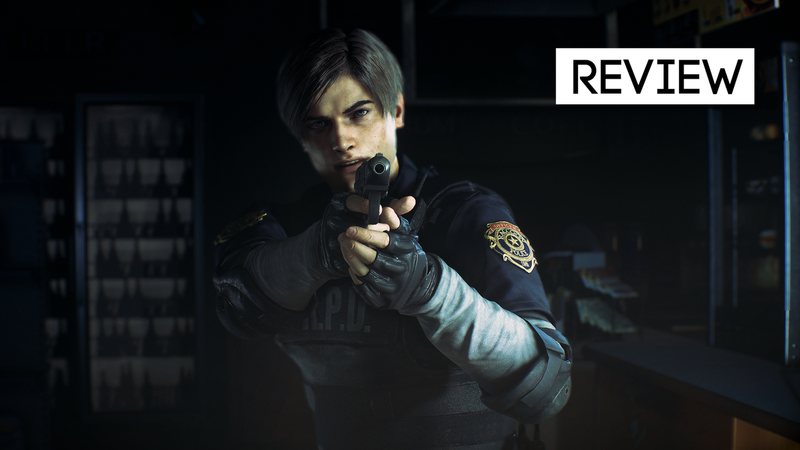 While he sometimes can feel more like nuisance than menace — especially when you simply want to finish a puzzle — his inclusion and the execution therein helps elevate Resident Evil 2 to a genuinely terrifying experience. Resident Evil 2 works best when it is taking risks and altering how players engage with it. It breathes new life into the gameplay by switching character perspectives. A segment as corporate spy Ada Wong turns Leon’s story into a sort of puzzle game, where Ada uses her spy tech to manufacture escape routes from a variety of different deadly situations. More impactfully, Claire’s story leaps perspective to the child Sherry Birkin. Her sequence is part room-escape and part horrifying hide-and-seek as she attempts to escape from the evil police chief, Brian Irons. These moments continue the trend set by Mr. X — they disempower the player and help Resident Evil 2 break away from its more standard action to something more cerebral. 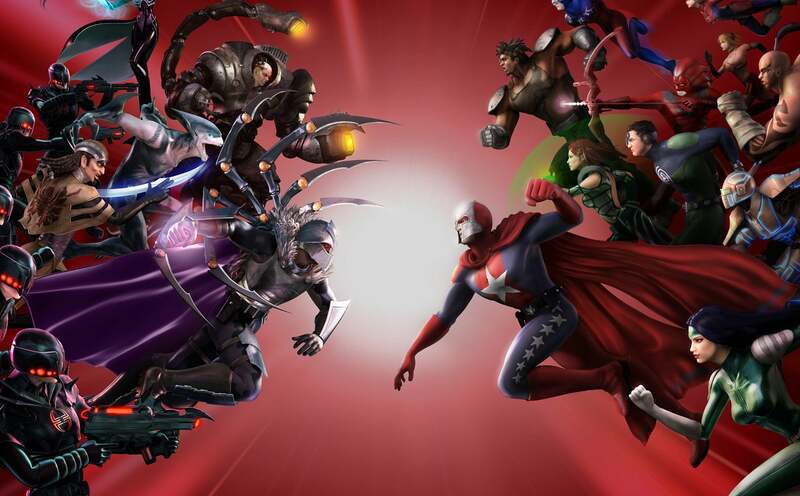 These sequences were present in the original game but are given more focus here, creating an ensemble feel that allows the game to explore different modes of interaction. Resident Evil 2 does a far better job of incorporating puzzles into the mix than contemporaries like Resident Evil 7. Much of this is due to just how dense the police station and adjoining areas are. These locations are packed with keys to find, generators to power up, serums to concoct, and safes to unlock. Often, this is simply a matter of finding the right widget to plug into the correct sprocket but there’s just enough variety here that you’ll find yourself examining items for clues, mentally marking down where initially inaccessible items are, and sitting down to work through genuine brain teasers. None of it is particularly novel but it is masterfully woven into the larger experience and more interesting than just a set of locks and keys. The puzzles help slow the pace into something a bit more introspective. It never quite reaches the sublime mixture of navigation and brain teasing of the original Resident Evil nor its subsequent remake, but these moments help modulate a game whose shift toward traditional combat isn’t sufficient enough to carry the experience. Resident Evil 2’s variety is commendable, but leaves the game feeling inconsistent as it never seems to settle on a theme. Its jumbled experiences don’t combine into as intelligent a whole as Resident Evil’s remake. That game took a core experience of isolation and added a gothic richness. This Resident Evil 2 remake applies modern sensibilities and experiments and the result is less coherent. That’s not to say that it is a bad experience. In fact, it’s easy to see how many of the design decisions are motivated by a desire to capture the original’s action tone. But Resident Evil 2 mixes its modes to such a degree that while each individual piece is appreciated, it is hard to say if they point towards a purposeful experience. Much of this comes from how generic the proceedings feel in comparison to other games in the franchise. Resident Evil evoked Romero horror and Gothic classics like Frankenstein, Resident Evil 7 leaned into the grindhouse world of The Devil’s Rejects and found footage films. It’s harder to define what Resident Evil 2’s identity is. It might simply be that Resident Evil 2’s identity is Resident Evil 2 itself. That’s fine, but I wish this game had a clearer ethos other than to exist for its own sake. The parts are greater than their sum, and the remake’s lack of visual identity or narrative goals becomes an issue as things progress. Resident Evil 7 leveraged its schlock-film influences to tell a story about the nature of families. It used the severing of limbs and increasing levels of mould as visual metaphors for separation anxiety and wrath. The Resident Evil remake mixed gothic images and hard-cutting camera angles to create a sort of modern day horror. It mixed high luxury with isolation, and even expanded on the series mythos with new terrors like the face-wearing Lisa Trevor. The Resident Evil 2 remake never manages to really explore its themes or build out its world. Claire’s story takes steps in that direction, but falls short of telling the Aliens-esque story of motherhood that it could. None of this prevents the remake from being fun. It’s some of the best zombie blasting you’ll find. But this is an adaptation more than it is a franchise redefining expansion. It doesn’t help that the narrative is marred by a lack of returning actors. Resident Evil’s charm as a series rests both in the original camp presentation of the originals and the growing earnestness with which later games presented its pulp-action. 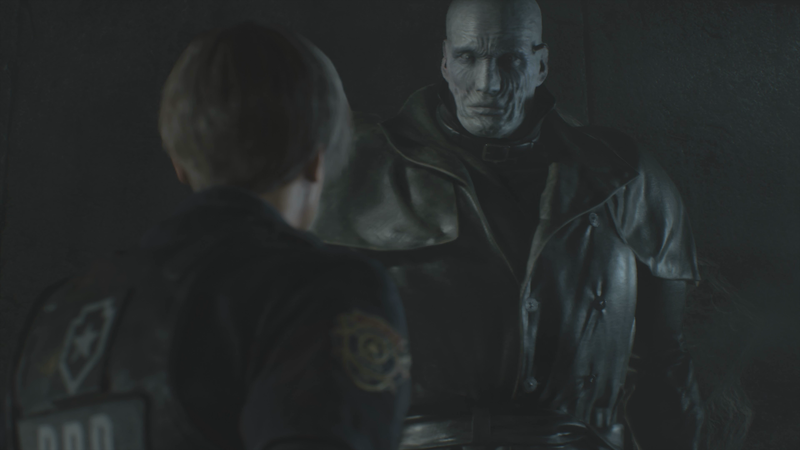 Resident Evil 2 suffers from a lack of two figures: voice actors Matthew Mercer and Alyson Court, who portrayed Leon and Claire previously in the series. For reasons unclear, Resident Evil 2 opts for a new cast led by non-union actors and the result is that the narrative lacks charm. It doesn’t have the campiness of the original or even the self-serious earnestness of later games. Scenes move at a rapid pace, actors ploughing through lines that might have been given far more weight and richness. The decision to go with a new cast harms Resident Evil 2’s presentation. Scenes feel rushed and line delivery is too sedate. That understated nature sometimes translates to a budget-television feel that doesn’t even achieve the comfortable camp that initially defined the franchise. Instead, the new acting feels off-brand, like a college student’s reimagining of Resident Evil 2. Resident Evil 2 provides some of the best moments in the franchise. That can mean turning to flee as an unstoppable tyrant stomps closer and closer to you, using a flamethrower to dispose of a plant-infested zombie, or puzzling out where to place the Queen piece in a puzzle. The raw experience of playing Resident Evil 2 is visceral, bloody, and often incredibly rewarding. It’s only in retrospect, after Raccoon City is in the rearview mirror, that questions begin to form. What was the game doing? What new things were built upon a familiar foundation? Did all the changes really work? 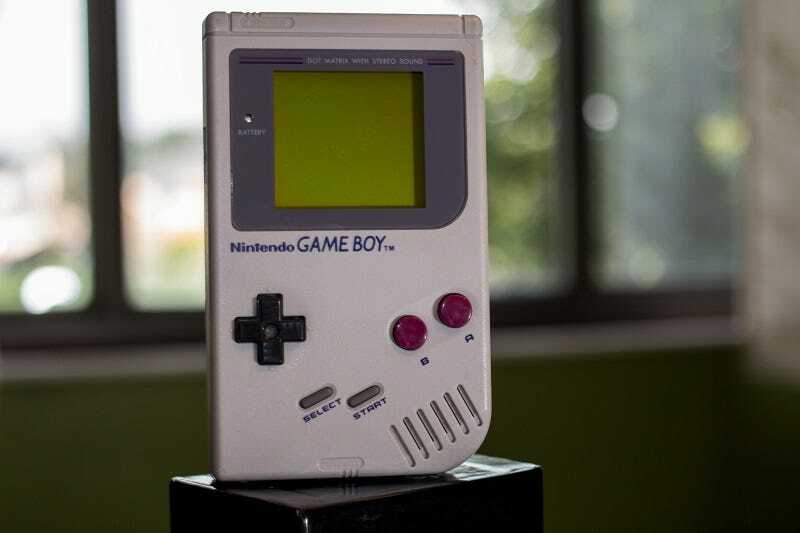 For many fans, the answer to that last question will be an unequivocal yes, but the game is uneven, moreso thanks to the changes made to modernise it. The new game certainly charges ahead more, but it’s lost something. The remake forces a somewhat ill-fitting gameplay frame onto environments and atmosphere that doesn’t accommodate it well. It exhibits some inspiring confidence as it presses forward without fear. But it’s that last part that gives me pause: without fear. It’s a fine game but an inconsistent one. As a remake that stumbles at times, it is neither a reinvention or a completely coherent celebration. It’s something sloppier, if captivating. It is pulse-pounding, sometimes experimental but also superficial and rough. The point made about Leon's voice actor falls a bit short for me, seeing as he's been through 4 voice actors already. I also feel it's worth pointing out that the Japanese developers probably care less about maintaining the Western voice actors (RIP, David Hayter's Snake). The current Japanese voice actor is the same guy since Resi 4. It would have been great if RE 2 remake kept at least some of the fixed camera angles in key parts of the game as this is what created alot of suspense in the original. I was happy to hear one can play RE 2 remake with the choice of the awesome original game soundtrack via DLC/Collectors Edition. I still think it will be a great gaming experience and happy Capcom spent the time to remake this game.